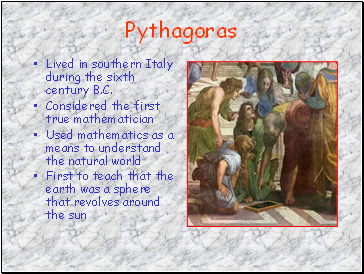 Lived in southern Italy during the sixth century B.C. 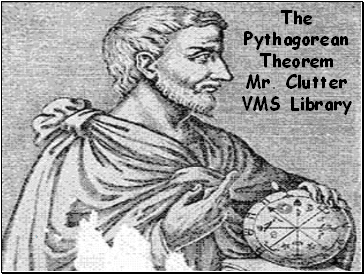 The Pythagorean theorem has far-reaching ramifications in other fields (such as the arts), as well as practical applications. 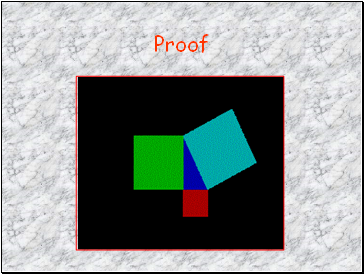 The theorem is invaluable when computing distances between two points, such as in navigation and land surveying. 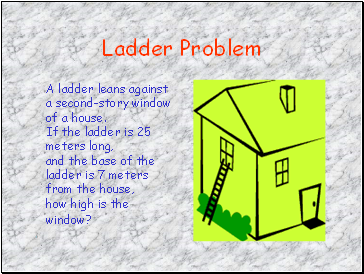 Another important application is in the design of ramps. 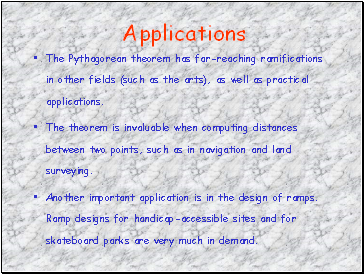 Ramp designs for handicap-accessible sites and for skateboard parks are very much in demand. 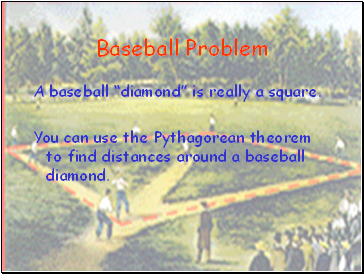 A baseball “diamond” is really a square. 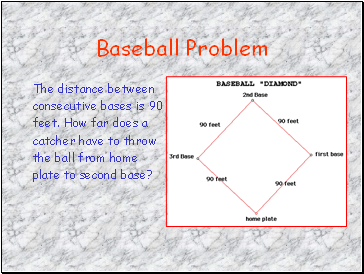 You can use the Pythagorean theorem to find distances around a baseball diamond. 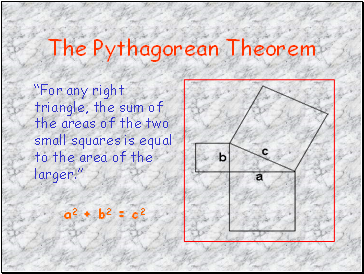 To use the Pythagorean theorem to solve for x, find the right angle. 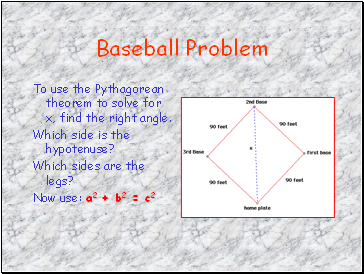 Which side is the hypotenuse? 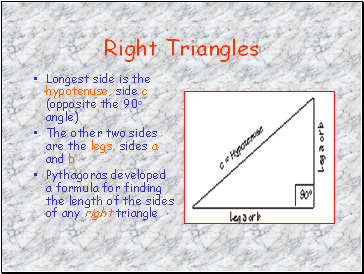 Which sides are the legs? 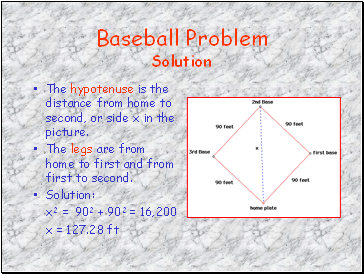 The hypotenuse is the distance from home to second, or side x in the picture. The legs are from home to first and from first to second.